You can’t always be at your desktop, but inspiration can strike at any time. 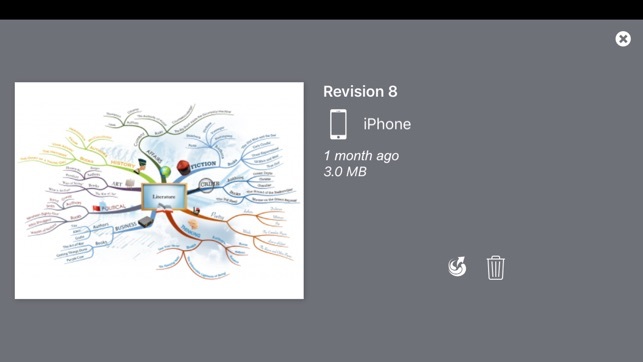 Outpour your best ideas into your iPhone whenever inspiration strikes. 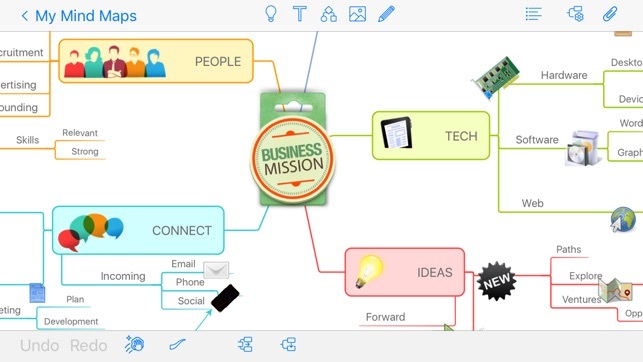 iMindMap is packed with intuitive, time-saving features to help lighten the load from your busy schedule and add a touch of creativity and productivity to everything you do. 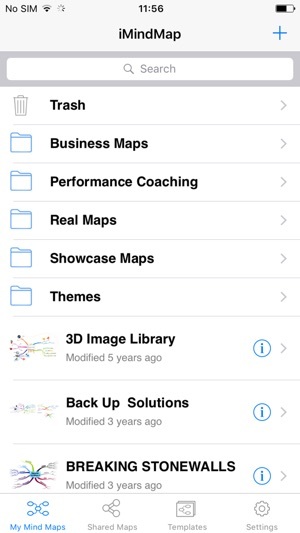 PLEASE NOTE: iMindMap iPhone offers the ability to sync your maps between all your supporting devices. You will be asked to sign up for a free account on the first start. Find out more about our other iMindMap products here: www.imindmap.com. 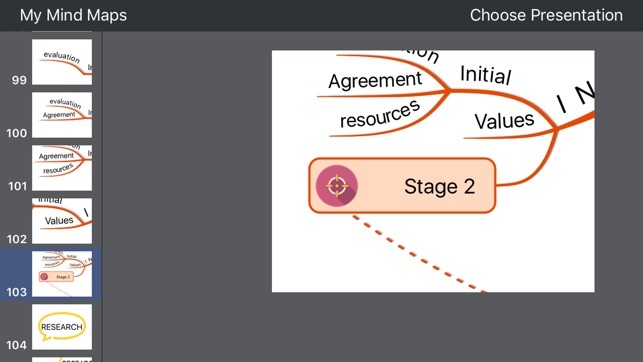 If you have got iMindmap 10 (and the cloud add-on), then this links well with it and has most of the desktop functionality. Haven't used it by itself though. 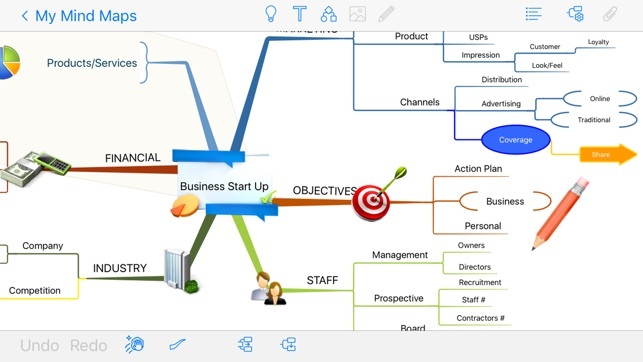 As an imindmap pro user, this is a great leap forward. 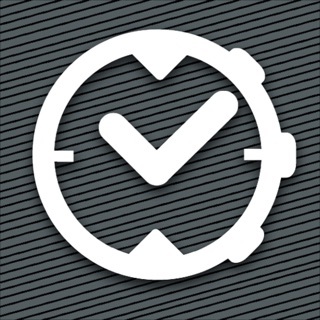 Faster loading, easier controls. Now I can really concentrate on the thinking rather than the writing. It does still crash though.... But everything one's done seems to remain intact and it doesn't crash as often as the older app so.. Forgiven! Particularly like the flexibility in changing from a ballon text to normal line and the connectivity this gives to desktop. There are still one or two issues about where to find functions, not everything is intuitively at your finger tips all the while; took a while to figure out how to change the style of a map for example. But it is mostly there. Despite these smaller niggles, the productivity this app now lends itself to compared to its predecessor means nothing less than 5 stars I think.